Coerced into going to Sheffield Comic Con 2014 I urgently needed a costume with limited time available. 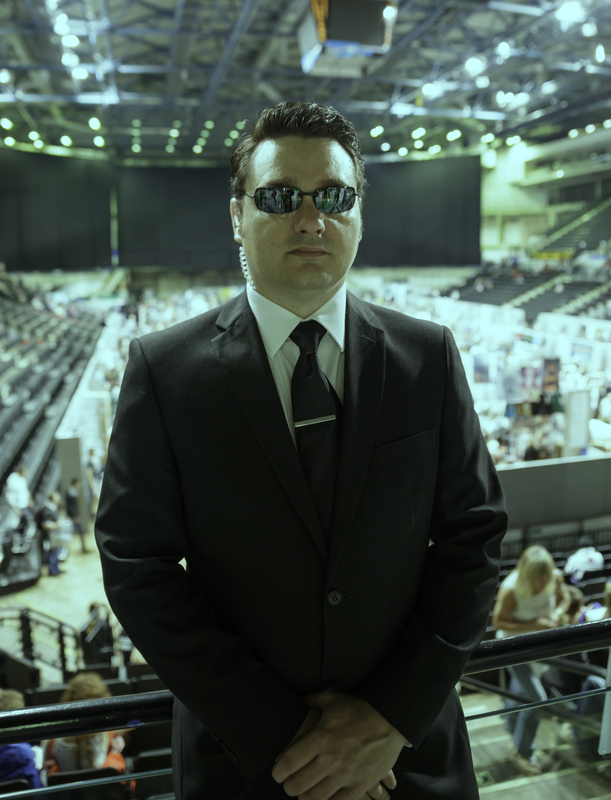 Being a huge Matrix fan and being in need of a new suit, I decided that I’d get a white shirt, a black tie, some (squareish) dark glasses, a tie clip and a radio earpiece and just like that, a simple Matrix Agent costume is born. This was an Agent v1 costume from the first Matrix Film. Despite my reticence, I thoroughly enjoyed the day at the Comic Con and I was looking forward to going to more of them, but wanted a more complicated costume and so the idea of an Imperial Agent costume came about. I really enjoyed wearing the costume, with the highlight of the day coming when I was waiting against a wall, in much the pose I have in the photo, and a gentleman walked up to me rather sheepishly and asked if he was allowed to use the toilets I was stood beside. It may be that “cheap” is the operative word here, but I can’t help feel I’ve been lied to by all those films over the years. In all those scenes in the Bond films where James’ dinner jacket isn’t ruined by the unsightly bulge of his Walther PPK, I’ve come to suspect it’s because both it and it’s holster are in the prop box off camera.